Thich Nhat Hanh’s meditations and wisdom for dealing with global terrorism, originally published after 9-11, updated to focus on more recent terrorist acts. Revised Edition. There have been delays on this book. Current publication is expected in 2020. Pre-order here. In a time of terrorism and uncertainty, how can any of us feel truly safe? Zen Master Thich Nhat Hanh looks at the real roots of terrorism and fear and offers the way out: a path of compassion and open-heartedness. 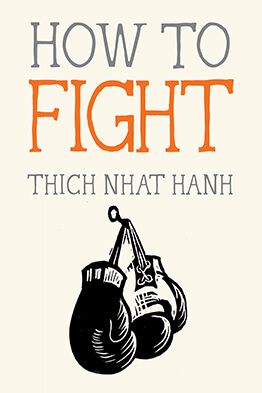 In this unique book, Thich Nhat Hanh teaches that we will only be safe when we acknowledge our real enemies, not other human beings, but our own ignorance, discrimination, fear, craving, and violence. 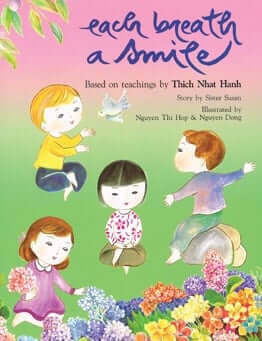 With clarity and gentleness, Nhat Hanh offers step-by-step instructions for calming the mind and looking deeply into our own misperceptions. His own generosity of spirit and love for all beings models a path out of uncertainty and towards peace. By calming our minds and looking deeply into our hearts, will we have the insight to identify the roots of terrorism. Only with the practice of compassion, deep listening, and mindful communication can terrorism be transformed and uprooted. Calming the Fearful Mind offers key teachings designed to help heal the misunderstanding, fear, and hatred that divide us as individuals, groups, and nations. An invaluable book for anyone who has wondered how to deal with anger and the desire for retaliation. Calming the Fearful Mind is, ultimately, a book about finding peace. It takes Thich Nhat Hanh’s signature mindfulness practices and reveals how they can help us address our most challenging and most deeply rooted fears.